We're sad to see it go... 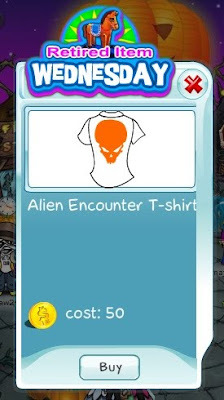 The Alien Encounter T-Shirt is being discontinued and today is your last chance to get one (or two, or three... in different colors...) if you haven't done so already. After today this alien t-shirt wouldn't be offered ever again, so don't miss the window of opportunity if you have always wanted it.